The newest addition to K-Tek’s Stingray line is a multifaceted case for the Sound Devices MixPre-3 and MixPre-6. More than an ordinary bag, the Stingray MixPro can help turn a small MixPre recorder into a portable workstation. Sized for the MixPre-3 and MixPre-6, the Stingray MixPro features multiple assets to accommodate all common working styles and methods, including front and back openings for mounting and a versatile front flap to attach wireless receivers. 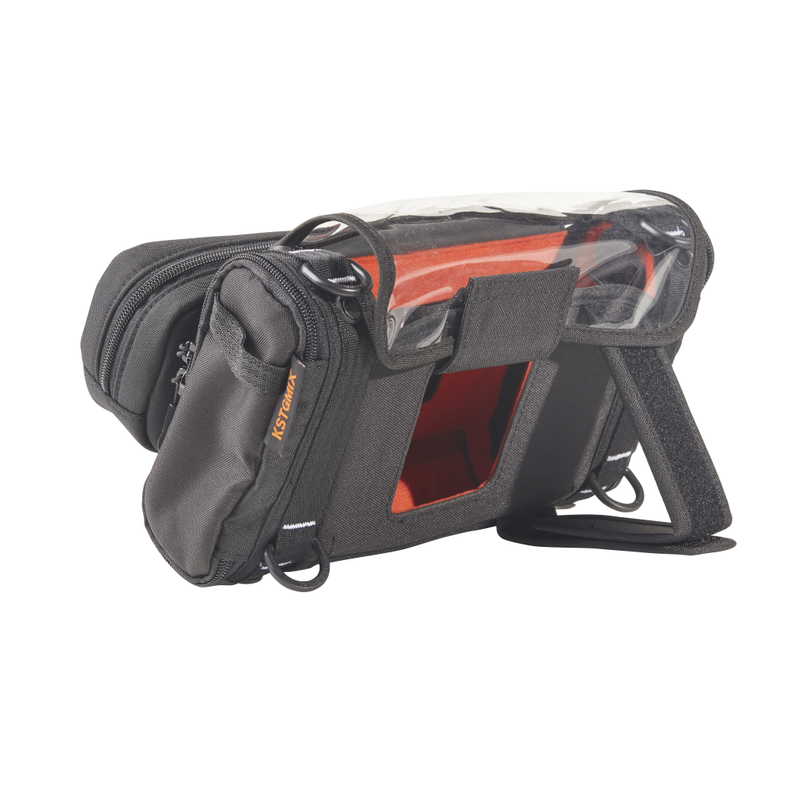 The removable Front Pouch storage compartment is perfect to keep external power options and large enough to hold common location mixing batteries (like an NP-1 style battery with cup or portable USB-C battery tanks). Oversized MOLLE-style straps accommodate additional accessories ranging from wireless receivers to other Stingray bags and pouches and are positioned on the front of the bag along with the Front Pouch. For convenient tabletop operation, a built-in adjustable kickstand enables convenient control interface access and comfortable viewing whether the user is sitting or standing. The combined front and bottom flap allows front mounting, opens wide to access the internal battery packs and media compartment on the bottom of MixPre units, and can even re-attach to the back of the MixPro. With MOLLE-style straps outside and inside, attaching accessories is a breeze in any configuration. The KSTGMIX Stingray MixPro portable workstation is designed for the Sound Devices MixPre-3 and MixPre-6 and also fits the Zoom F4 and F8 mixer recorders. The KSTGMIX Stingray MixPro can be ordered now, with deliveries beginning mid-November, 2017.